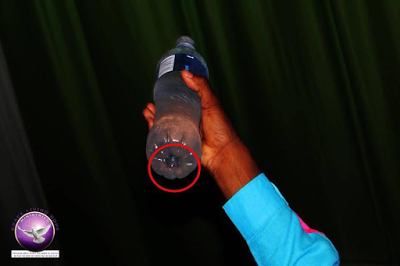 5 dead from pastor made congregation drink rat poison miracle! A pastor who made his congregation drink rat poison,has resulted in 5 people dead and 13 admitted to hospital as a result. 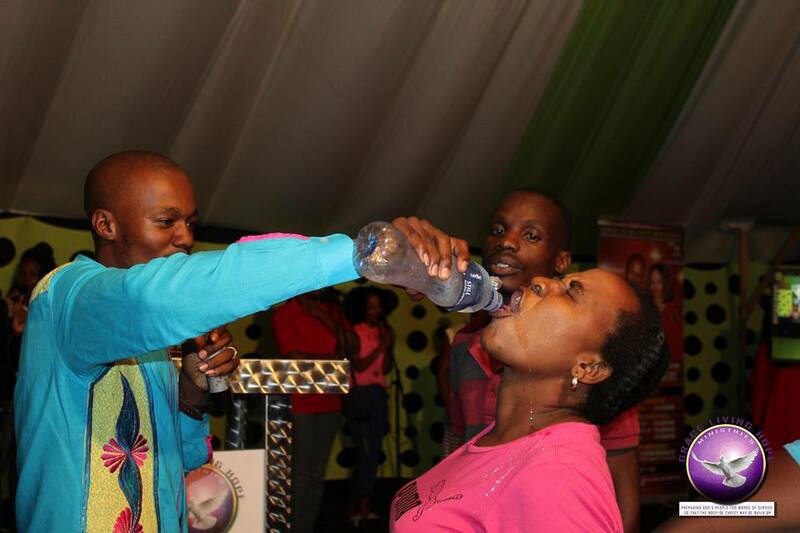 It is really strange that all these so called preachers and men of God who do this kind miracles are from South Africa.We have seen those who made congregation drink petrol and we have seen the grass eating congregation.It just baffles me how people can be so stupid and gullible. so that their insane practices stops. 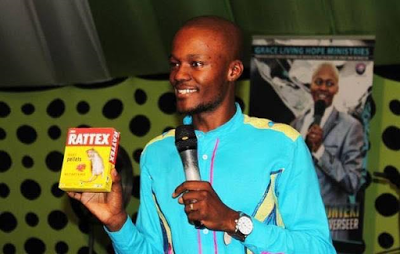 Pastor Light Monyeki from Grace Living Hope Ministries demonstrated power of faith by causing congregants to drink Rattex rat poison. Monyeki held the plastic bottle up and then declared “life from above upon the water mixed with Rattex; and spoke nourishment unto bodies and healing unto the sick"
The preacher or should i say magician, tried to prove to his members that they were sub-human and couldn't die from drinking the lethal dose of rat poison that he had 'anointed', well, he was proven wrong with the death of 5 of his members. After his members drank the poisonous liquid, all of them started to complain of stomach pains by the evening of the same day. 13 of them were admitted in hospitals for treatment while 5 of them died. Monyeki has denied responsibility of the death of the 5 members. Police have now been involved in the case and they are investigating the matter. So far, nobody has been arrested.